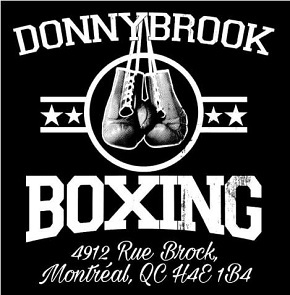 The story of boxing is the story of rivalries. And rivalries themselves are stories. During the contentious years of Hitler and World War II, Joe Louis and Max Schmeling made boxing history as representatives of two very different societies. Later Jake LaMotta and Sugar Ray Robinson thrilled sports fans with a rivalry that stretched over nine years and helped usher in the television era when their final battle, the famous “St. Valentine’s Day Massacre,” was watched in living rooms across America. Decades later, Muhammad Ali and Joe Frazier, in perhaps the most intense rivalry ever, highlighted racial and political conflict during one of the most difficult periods in American history. But some rivalries are characterized less by politics and more by national pride. Boxing has long been enriched by the territories south of the American border and the fiercely proud pugilists from Latin-American nations. There the young men who fought their way to the top of the fistic landscape often found themselves the new folk heroes of the impoverished countries that reared them. Thus whenever they competed, they no longer did it for themselves but also for their nation and their people. 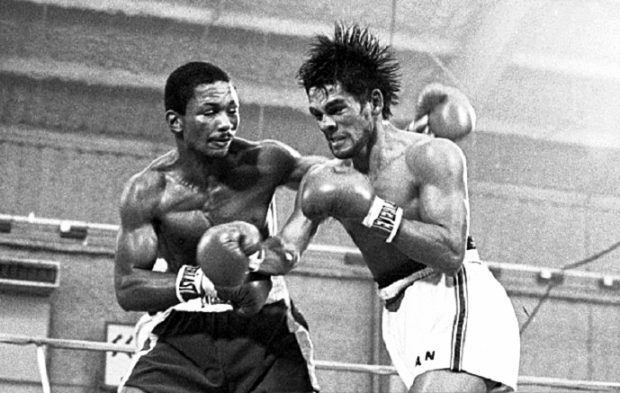 Panamanian Roberto Duran and Puerto Rican Esteban De Jesus found themselves embroiled in one of boxing’s great rivalries; over the course of five years these two proud Latino legends faced off on three occasions. Each fight is memorable for its ferocity and for how it impacted each man’s career. But the rivalry would ultimately be defined as much by what happened outside the ring as by the punches they exchanged inside it. Roberto Duran began his career in February of 1968. A fluid, aggressive lightweight who packed a big punch, Roberto quickly whipped up domestic support on his way to receiving a world title shot. By the time he fought Ken Buchanan in Madison Square Garden for the world title in 1972, he boasted an impressive record of 25 knockouts in 29 wins and no losses. After thirteen violent rounds of rugged in-fighting, Duran emerged as the new lightweight champion of the world. Esteban De Jesus was born and raised in the town of Carolina and Carolina was just as famous for its penchant for violence and crime as it was for being the birthplace of Roberto Clemente. 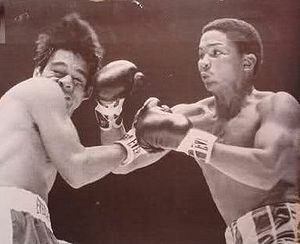 De Jesus saw action professionally for the first time a year after Duran and would then rattle off 26 straight wins before he ran into Antonio Gomez. Gomez, the WBA featherweight champion at the time, was too steep a step-up in competition for the talented Puerto Rican. In the aftermath of the Buchanan fight, times were good for Duran and Roberto found himself arguably Panama’s most famous man. The fame and money attached with that level of celebrity ironically comes with a heavy price. Roberto was surrounded by those more interested in his spoils than the hard work it took to attain them. And these distractions proved costly. Duran vs De Jesus I: Roberto on the canvas in the opening round. Perhaps aware that their fighter needed some time to adjust to all this, Duran’s handlers looked to protect their investment. 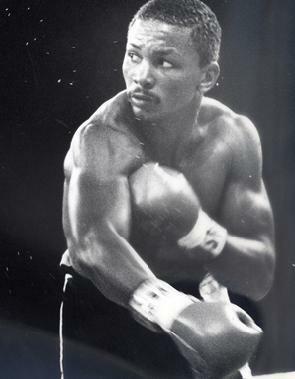 A title fight was put aside for the time being, the official reason given that Duran intended his first defense to take place in his home country, and instead he took a series of tune-up fights in Panama. In September and October he recorded back-to-back first round knockouts and talk turned to who would become his next victim, this time back in America. Esteban De Jesus was a reasonable choice as his Puerto Rican roots built up a decent fan base for a money-maker fight in New York City. De Jesus had just recorded a win in the Garden some four months prior. But then disaster struck and Duran risked not just the upcoming fight but also his life. Driving up a hillside in his homeland, Roberto veered off-road. The resulting injuries, while not severe, should have postponed the match. Duran suffered lacerations to his lips that required stitches as well as an elbow injury. Customary to the Duran mythos, he shrugged it off, had a few drinks, and then made the trek to America. The first Duran vs De Jesus clash took place on November 17, 1972. Their ten-round, non-title fight would be the headliner for a Garden card that also featured future Duran opponent, Vilomar Fernandez. What the crowd of ten thousand saw next would be history in the making and the catalyst for one of the greatest feuds in lightweight history. Before the opening bell, attention was given to the featured guests of the night, Willie Pep and Sandy Saddler. Two of boxing’s greatest barely got to their seats when the fireworks first went off, as less than 30 seconds in Esteban landed a perfectly timed left hook. For the first time in his career, Duran’s backside felt the canvas. Roberto was up at the count of six, both embarrassed and hurt and the damage was done. He never fully recovered from the shock of that first knockdown. In the rounds that followed the typically active and aggressive Duran appeared flat-footed and disinterested, either unable or unwilling to fully commit to the offensive onslaught he was known for, while Esteban took control. De Jesus hands Roberto his first pro defeat. When the final bell rang, everyone, including Duran, appeared to know the outcome and Roberto retreated to his corner in disgust. The scores rendered by judges Harold Lederman (3-6) and Bill Recht (2-6) fell in line with that of referee Arthur Mercante (4-5). Roberto Duran had suffered his first defeat. The time following that first clash served both men well; the two went on a tear. They combined for a sterling record of 18 wins with no losses or draws and 11 knockouts. 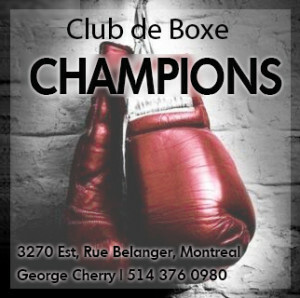 Duran defended his title three times against top contenders Jimmy Robertson, Hector Thompson and Guts Ishimatsu. Just as impressive was the streak for De Jesus. Attempting to squash rumors he was a flash in the pan, Esteban recorded credible victories over Alfonso Frazer and Ray Lampkin. It was inevitable, with the roll the two men were on, that their paths would cross again. Finally, on March 16, 1974 they met in front of a rabid crowd in Panama City. Duran, using his champion’s advantage was able the secure the location and the lion’s share of the purse. Esteban would have to confront Roberto on the champion’s home turf, which, during the month of March, was excruciatingly hot and humid. 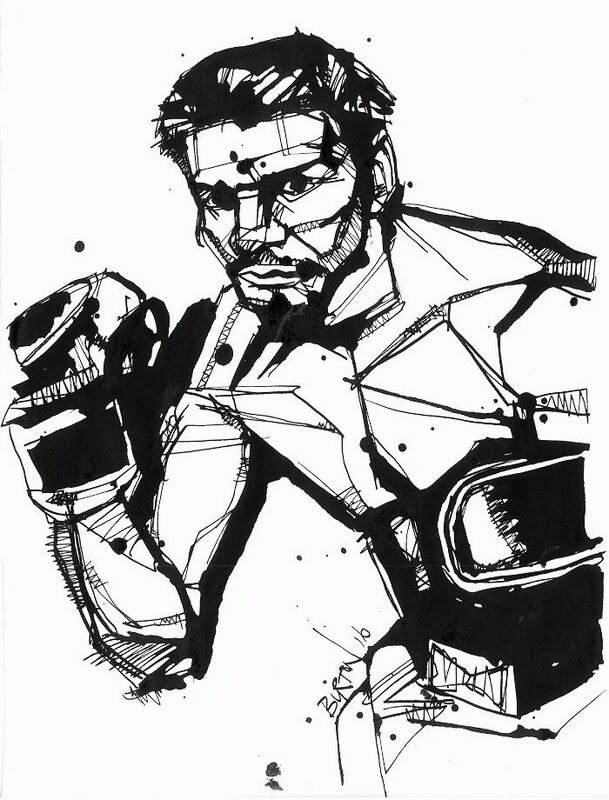 Roberto Duran. Ink drawing by Damien Burton. Roberto Duran stepped into the ring that night with the full intentions of erasing the memory of his first defeat from everyone’s mind. This time there would be no partying, no late night debauchery or suspicious automobile accidents. The Duran that entered the ring that night appeared in terrific shape, strong as a bull but also as agile as a panther. And then it happened. Again! Roberto, attacking in the opening round, left himself open and Esteban came over the top with his old friend, the left hook. The same punch that shook up the world in Madison Square Garden struck a second time and again Duran hit the canvas. The Panamanian constituency sprang from their seats aghast. Was all of the pre-fight talk no more than hype? Would we see the smooth Puerto Rican box his way to another comfortable decision? 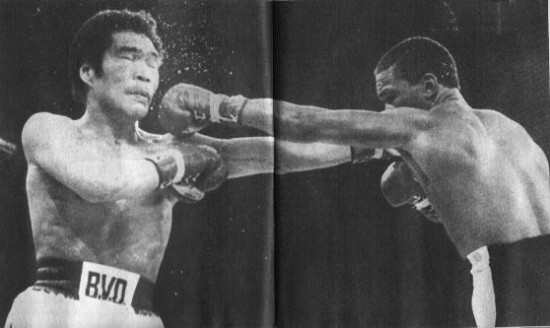 But instead of marking De Jesus’s superiority, the knockdown this time sparked a fire in Duran. In 1972, Roberto had risen only to compete without zeal, to retire himself from any chance for victory. This time he rose and attacked with fury. With the first round over, Roberto assumed more and more control and the third round was essentially Esteban’s last stand. Finding himself in a vicious firefight, the challenger never backed down but he was decidedly outgunned. In round seven Duran put together a stinging volley of punches and a hurt De Jesus crumbled after a powerful overhand right. The Boricua had more to give though and Duran obliged. But the full force of Roberto’s attack was simply too much for De Jesus who took more and more time to answer the bell at the start of each round. By the tenth the end appeared inevitable and was, in a sense, welcome. The following round saw Duran deck an exhausted and brutalized De Jesus who just barely beat the count before the referee wisely halted the match. No one is ever satisfied with a split. Imagine if Ali and Frazier had decided enough was enough after their return bout in 1974. Or if Rocky Graziano had said to Tony Zale after winning their second battle, “We each got a win, how bout we leave it at that?” The story isn’t over until a final chapter is written. 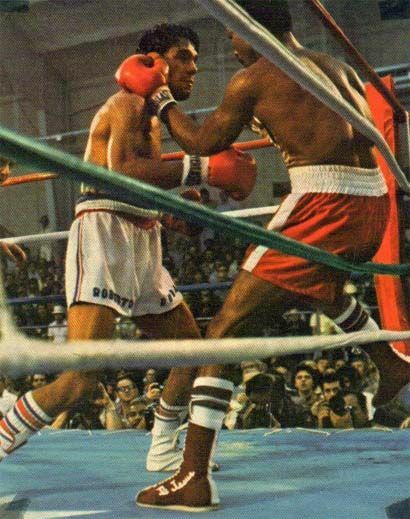 The third and final meeting of Roberto Duran and Esteban De Jesus took place in January of 1978, almost four years since their second fight in Panama. The time between had been profitable for both men. Now each held a claim to the world lightweight championship which meant a third fight was keenly anticipated, the stakes even higher. The fight would decide, once and for all, not only who was the better fighter, but who was the true champion at 135. Following his loss to Duran, De Jesus regrouped and in 1975 he received a chance at Antonio Cervantes’ super-lightweight title. Knocked down three times, Esteban dropped a 15 round decision to Colombia’s legendary “Kid Pambele.” But the Puerto Rican’s skills and heart were not to be denied again. Several knockout wins set up another shot at a championship and knowing such chances were not unlimited, he made sure the third time was indeed the charm. In front of his compatriots in Bayamon, De Jesus outworked WBC lightweight titlist Guts Ishimatsu over the course of 15 dull rounds to finally realize his dream and become a world champion. Esteban wasted no time resting on his laurels. Within a year he had defended his title belt with three stoppage wins. 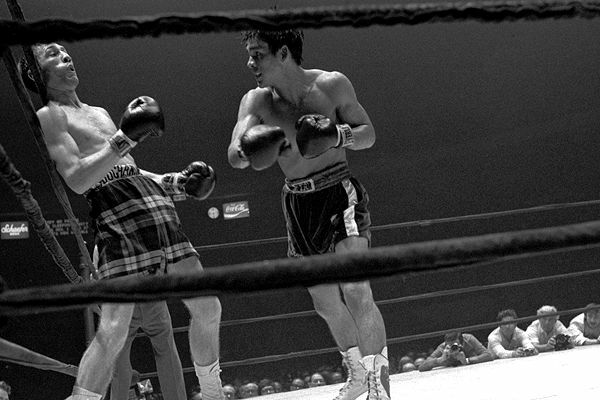 During the same time, Roberto Duran had taken his game to a whole other level. Tearing through all challengers put in front of him he was now viewed by many as, pound-for-pound, the best boxer in the world. The numbers from this period speak for themselves. Roberto entered the ring 20 times and he exited the victor 20 times, with only five opponents surviving to hear the final bell. In that same span, Duran produced seven successful title defenses, six by knockout and the question being asked by boxing historians was not whether Roberto Duran deserved to be regarded as a great champion, but whether or not he was the best lightweight champion of all time. But while virtually all agreed that Roberto Duran was the best lightweight in the world, there was one difficulty to this claim. Another man held a version of the lightweight title. And that man also happened to be the only fighter to ever defeat Duran. 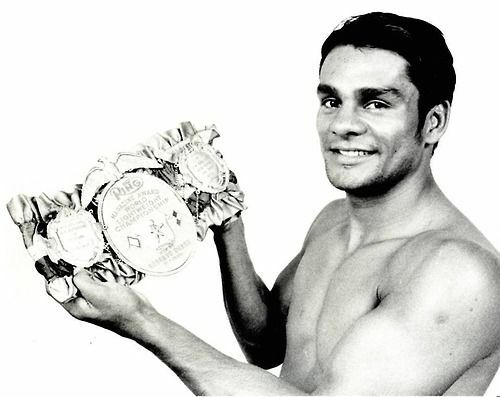 The stage was now set for Roberto Duran and Esteban De Jesus to meet a final time with the winner emerging as the unified and undisputed world champion, as well as the victor of their rivalry. Caesar’s Palace in Las Vegas played host to Duran vs De Jesus III and due to the magnitude of the event, it was broadcast on live national television. The stakes were higher than ever and the participants were primed and ready. Roberto had obviously seen a pattern emerge from the first two fights and this time he was cautious of Esteban’s fast start. During the first round he switched gears and used his under-appreciated technical skills. Duran’s constant head movement and brilliant footwork came to the fore, his powerful combinations artfully put together behind an effective jab. Weathering De Jesus’s initial onslaught through the first few rounds, Duran soon brought the pressure and the heavy artillery to bear. The ever confident Esteban at first laughed off his opponent’s efforts, but a graver mistake could not have been made. For the next twenty minutes Duran never let up and De Jesus could not fend off his oppressor. In round twelve an overanxious De Jesus left himself open as he attempted to throw a right hand, an error that proved disastrous as Duran beat him to the punch and scored with a perfect right of his own that sent Esteban crashing to the canvas. He rose, with difficulty, but Duran had always been an expert finisher. A series of heavy blows hammered Esteban down again as his corner stopped the bout. The third and final clash was over. Roberto Duran reigned supreme. 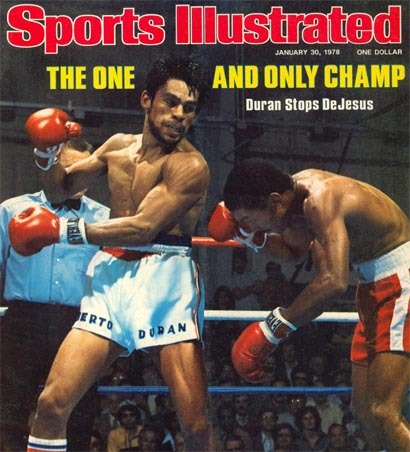 The trilogy with De Jesus ended Duran’s terrorizing reign at lightweight. He now looked to campaign at welterweight, eager to win another championship and earn huge paydays with some of boxing’s biggest stars. The professional careers of Duran and De Jesus never crossed again. 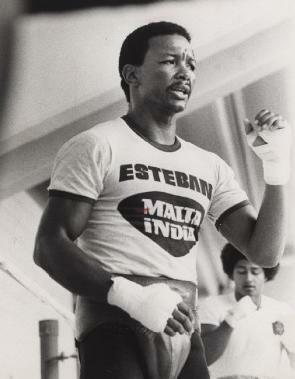 In June of 1980 Duran secured the biggest win of his career when he dethroned welterweight champion Sugar Ray Leonard. The following month De Jesus had his own big opportunity when he challenged former Duran opponent Saoul Mamby for the super-lightweight title. Esteban fell to Mamby by TKO in round 13 in a one-sided contest. It would prove to be his final fight. Just a few months later, on November 25, 1980, Duran shocked the world once more, this time in a manner none thought possible. In a rematch with Leonard, Duran muttered two words that would haunt him for the rest of his life, “No mas.” He turned his back and quit. This loss was the most humiliating of any elite fighter, especially a macho warrior like Duran. Surrendering so abruptly and easily completely violated the code of the Latin fighter, was tantamount to a crime, and many of Roberto’s loyal fans turned on him with a vengeance. 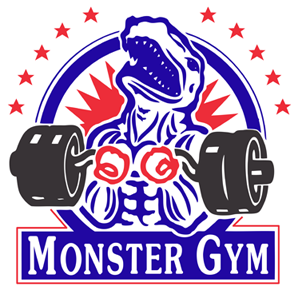 It would be years before he could restore his reputation with a glorious comeback win in the same building where he had won his first world title and where he had first battled Esteban De Jesus. Meanwhile, De Jesus soon found himself involved in a crime far more serious. The former champion had become addicted to drugs and while in the grips of a cocaine binge he murdered a man. His trial and subsequent sentence to life in prison became one of the most scandalous events in Puerto Rican history. Never before had a figure of such renown and esteem crashed so quickly and disgraced himself in such a sudden and violent fashion. But the worst had yet to come. In prison, De Jesus worked to reform himself, finding solace in religion and becoming a model prisoner. But in 1985 his older brother, with whom he had shared needles in years past when both were using heroin and cocaine, died of AIDS. Soon after Esteban tested positive for the virus and eventually the symptoms began to appear. It was soon evident that the former champion had little time left to live. In a rare moment of mercy, the Puerto Rican government commuted Esteban’s life sentence to house arrest so he could spend his final days among family and friends. Roberto Duran was one of the most passionate fighters in history and, despite the “No Mas” debacle, he typified the Latino definition of “macho.” A fiery temper coupled with his disdain for Esteban led to one of the fiercest rivalries in Latino boxing history, and a hatred between Duran and the people of Puerto Rico. Roberto never missed a opportunity to disparage the whole state. 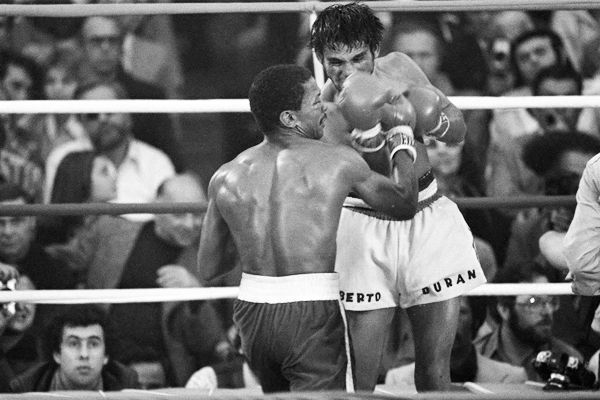 The sentiment was returned as Puerto Rico hated Roberto Duran with a passion. But upon hearing of the fragile state of his former rival, Roberto journeyed to Puerto Rico to share one last confrontation with his old foe. And this final encounter defined their rivalry more than any boxing match ever could. Upon witnessing the state of his disease-ridden adversary, Roberto put aside all fear and embraced De Jesus. 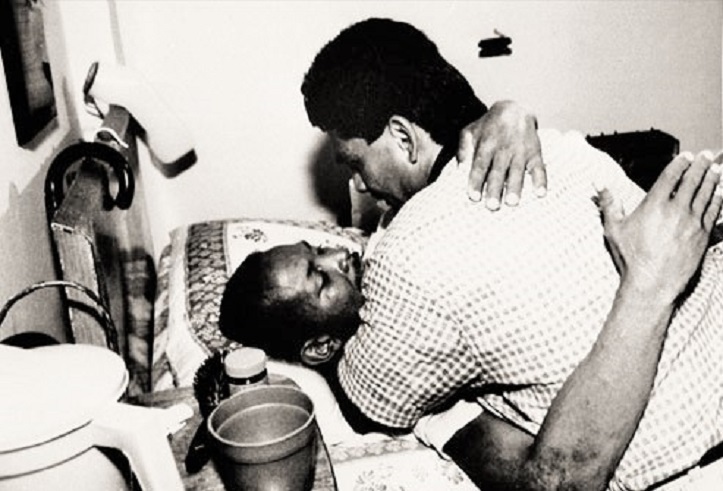 At the time, AIDS was a largely misunderstood malady; some feared it could be spread through such contact. But Duran ignored such worries. He held and kissed his old rival and even told his daughter to do likewise. The heart of the proud Panamanian proved just as strong as his legendary punching power and the ramifications were immediate. The media, and most importantly, the people of Puerto Rico, saw their former enemy in a new light. Duran embraces a dying De Jesus. The achievements of a champion are indisputable. They are defined through his wins and losses inside the ring. The character of a champion is more difficult to define. But on that day in April of 1989, Duran defined his character for millions of Latin Americans in a manner unique and unforgettable. Esteban was one of the greatest PUERTO RICAN fighters ever saw the light of sports and will be remembered for his dedication to boxing and great victories RIP ESTEBAN. Long live Duran and DeJesus !Thanks Zach,great article.